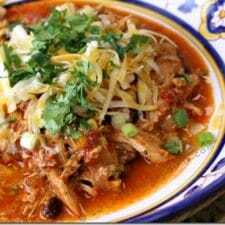 Slow Cooker Chipotle Chicken Zucchini Fideo Soup is a lower-carb version of this Spanish soup. Fideo is a Spanish word for soup noodles, and this Fideo Soup with zucchini noodles sounds amazing! It’s no secret that I’m a huge fan of Zucchini Noodles, so when I spotted this Slow Cooker Chipotle Chicken Zucchini Fideo Soup from Skinnytaste, I knew I’d like it! My friend Gina uses zucchini noodles to stand in for the Spanish noodles called Fideo that are traditionally used in soup like this, and making that switch makes this a low-calorie, low-carb soup that isn’t low on flavor. 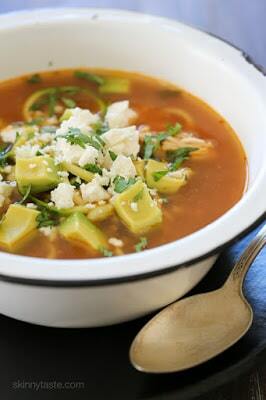 Get complete instructions for Slow Cooker Chipotle Chicken Zucchini Fideo Soup from Skinnytaste. 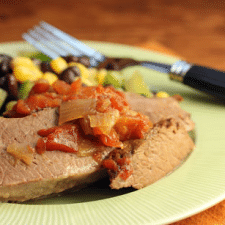 Use the Index Page for Soup or Stew to see all the slow cooker or pressure cooker soup recipes that have been featured on this site. I often use fideo noodles in soup, so I can't resist the idea of zucchini fideos. Out comes my spiralizer! Lydia, it's a great way to make soup lower in carbs or gluten-free!